After more than 20 years of printing five days a week, The Pitt News is cutting Friday print production. The decision, made by The Pitt News Advisory Board, was finalized in March. The group decision was made to free up editorial time to create more digital content and foster a sustainable digital business model. 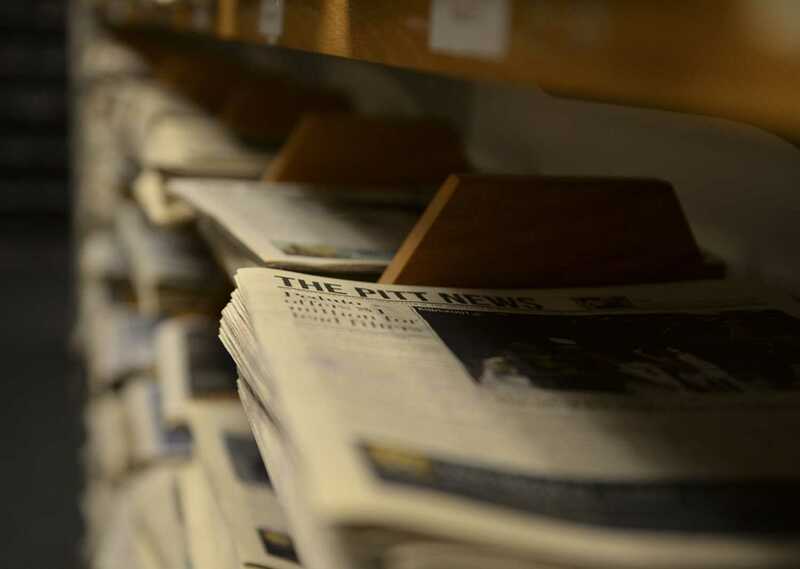 The Pitt News joins multiple other newspapers around the country cutting days of print production, including Penn State’s The Daily Collegian and The Pittsburgh Post-Gazette. A majority have been cutting print as audiences shift from print to digital. Other outlets have cut news staff to conserve funds. Some outlets claim newspapers will die out altogether. But current employees at our 108-year-old student newspaper don’t see cutting a day of print production as a sign of a dying paper. According to managing editor Janine Faust, cutting a day of print production presents new opportunities for The Pitt News to explore their online presence. Citing slowdowns in print advertising sales and revenue, some newspapers have made massive cuts to editorial staff to make up for costs. But Christian Snyder, editor-in-chief of The Pitt News, said the shift to digital content creates a new set of job opportunities for editors. Brian Gentry was appointed to one of the new editor positions — online visual editor. He said the new online staff is looking forward to new ways to make online articles a more intriguing and attractive experience for readers. Terry Lucas, general manager and adviser of The Pitt News, said publishing exclusively online on Fridays will help the newspaper reduce printing expenses — but overall, the shortened print week provides an enhanced online experience for readers. Overall, publishing more online-only content is meant to enhance reading experiences for audiences by bringing the best of news, culture, sports and opinions around campus to our readers in innovative ways.